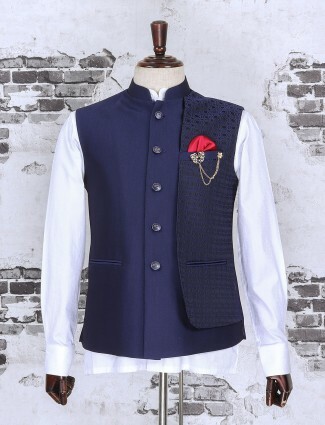 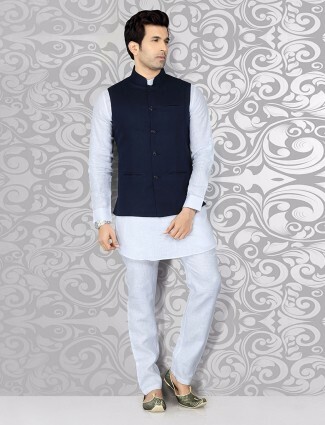 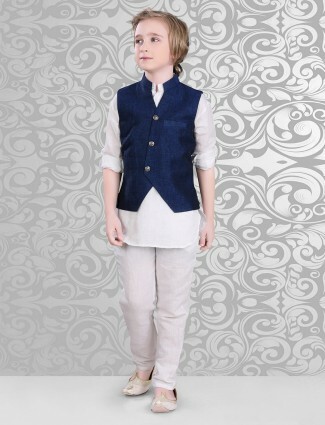 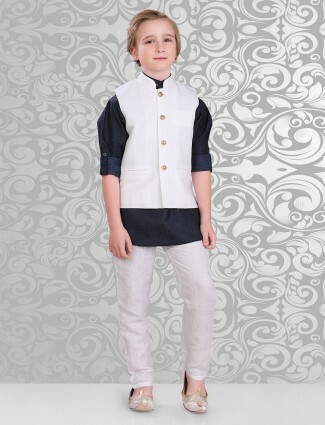 Get more smart look in party function with this solid navy terry rayon fabric waistcoat set. 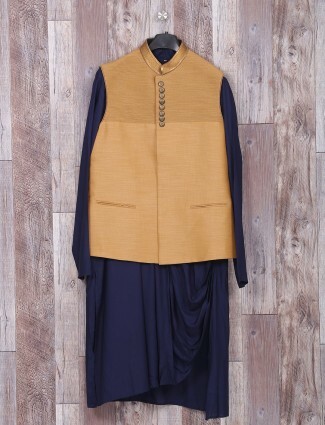 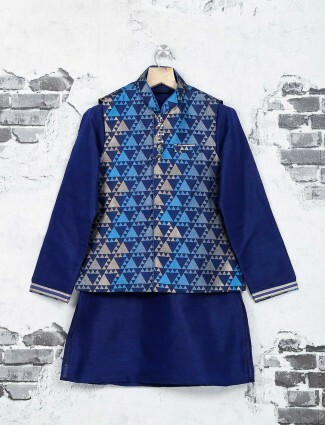 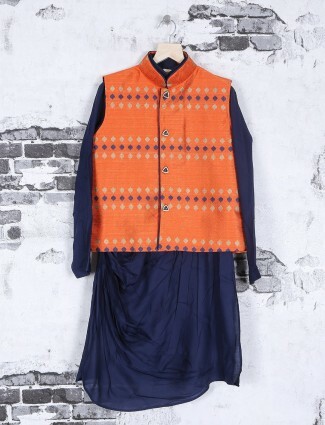 It has stand collar, full buttoned placket, high low hem, zari worked on yoke and designer piece. 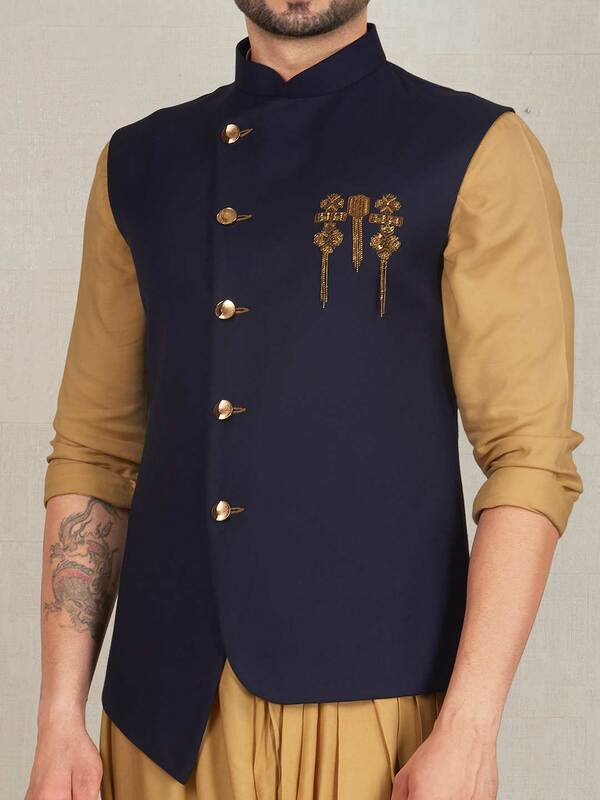 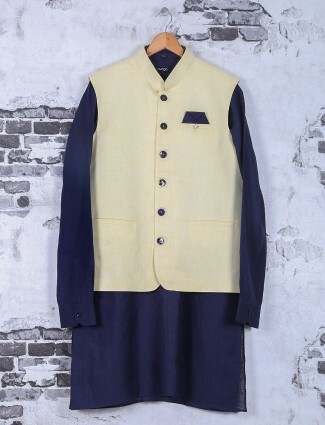 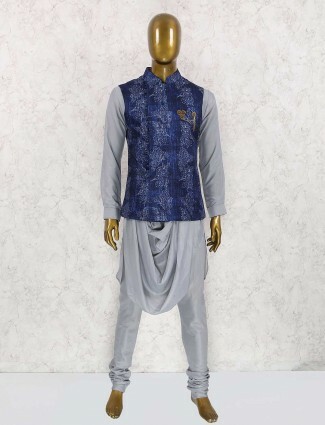 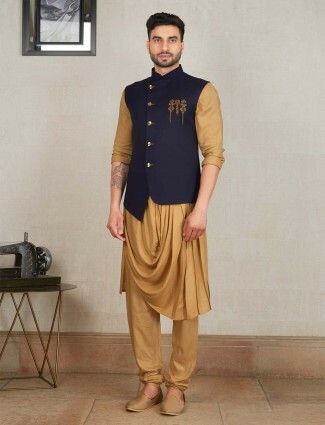 Comes with beige colored cowl style kurta suit.